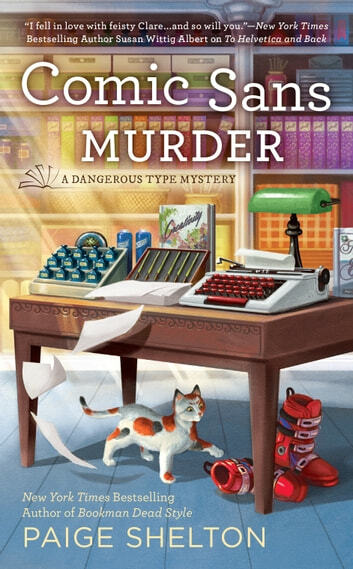 Clare Henry’s snowy Star City, Utah, oasis turns deadly in the third Dangerous Type Mystery from the New York Times bestselling author of Bookman Dead Style and To Helvetica and Back. The visit of quirky world-famous horror author Nathan Grimes to Star City is especially thrilling for Clare Henry and her grandfather Chester. As the owners of The Rescued Word, a charming boutique shop in town, Clare and Chester specialize in restoring old typewriters and repairing beloved books. They’ve invited Nathan to their shop to use their equipment for his next book.